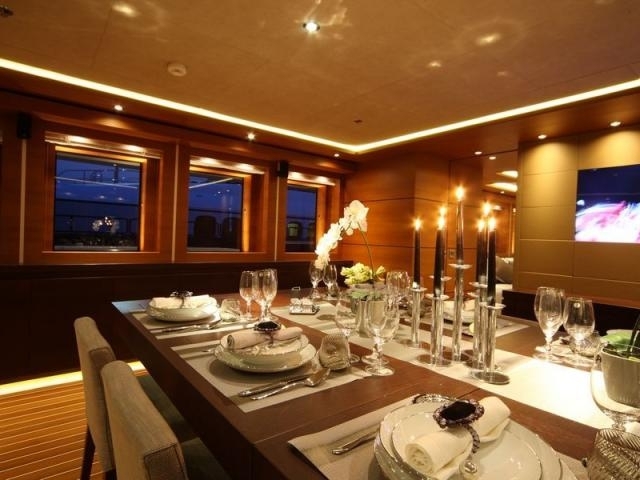 M/Y ZALIV III can accommodate 12 guests in 6 luxurious cabins. 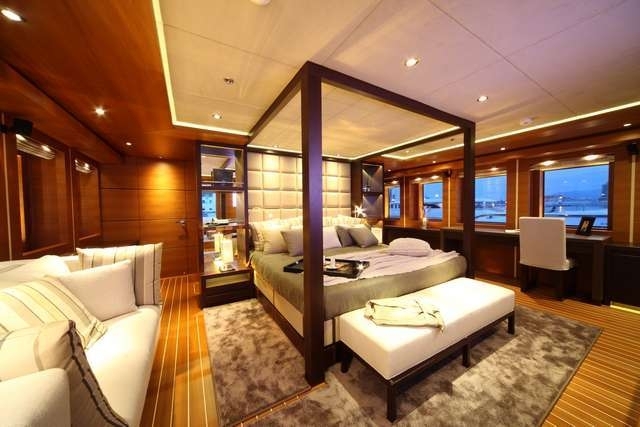 The master cabin is on the upper deck and boasts private access to the exterior deck; the cabin is full beam of the yacht with a king size bed and features an owner’s salon and office, en-suite facilities with a Spa Pool tub, steam bath and spa room. 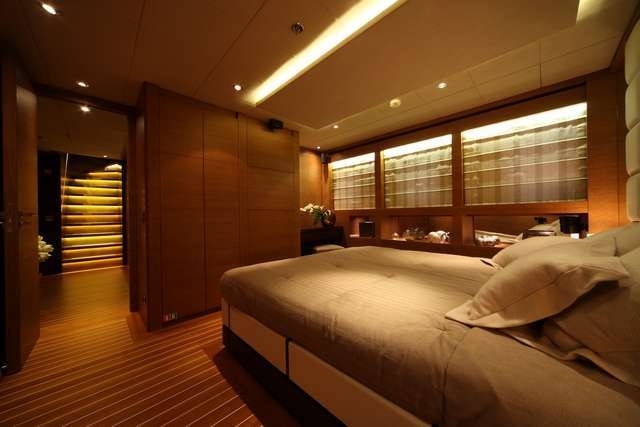 The VIP cabin is located on the main deck and also is full beam of the yacht with a king size bed and includes a Spa Pool and steam bath. 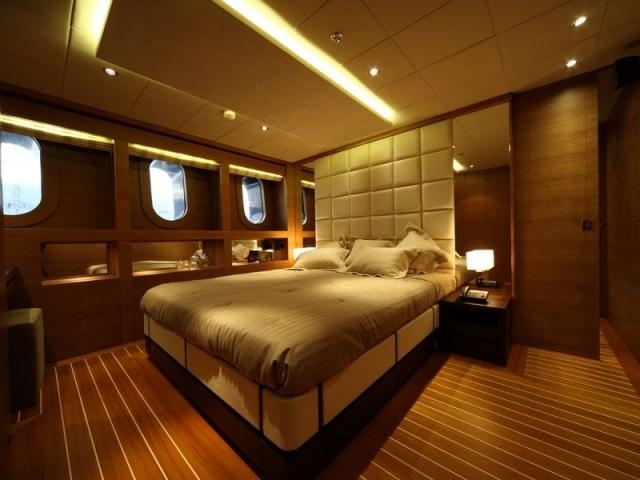 A further 2 queen size cabins and 2 twin cabins are on the main deck, all with en-suite facilities. 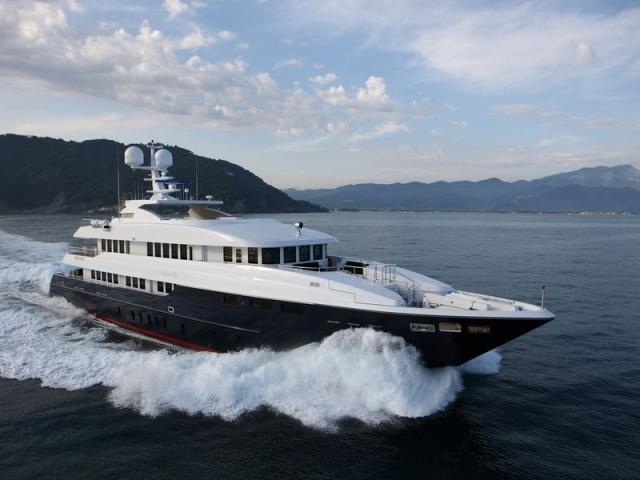 Mondo Marine built motor yacht ZALIV III is the first vessel launched from the well known Italian shipyard in 2011. 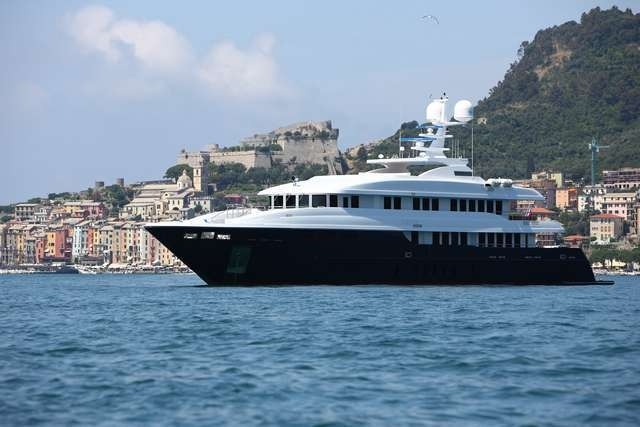 Measuring 49.36m in length over all, the semi-displacement superyacht Zaliv III boasts exterior design by Giorgio Vafiadis and her interior was created by the Florentine designer Luca Dini. 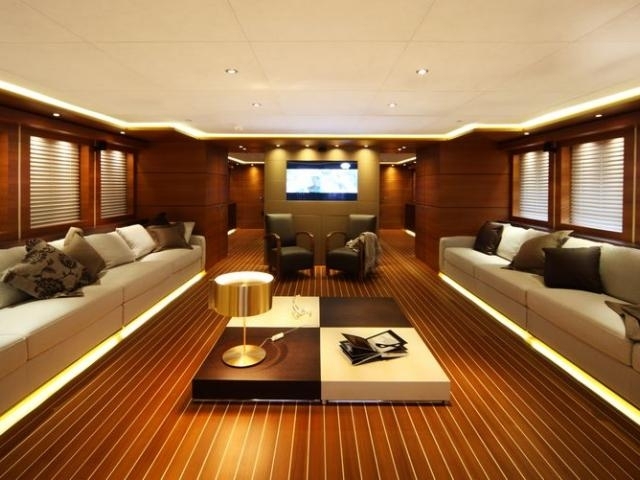 The aluminium built Mondo Marine Zaliv III yacht features a dark blue hull with a white superstructure. 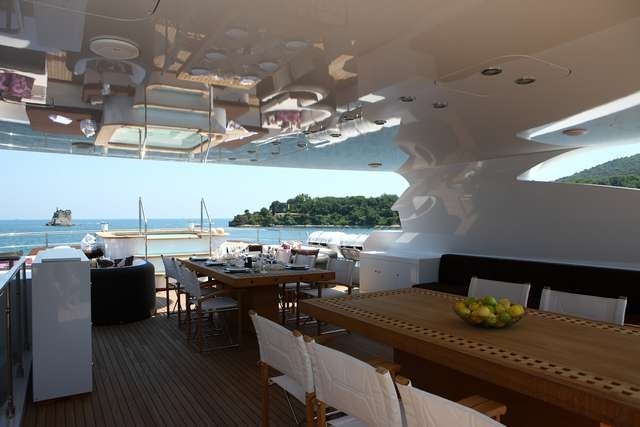 She offers superb accommodation to 12 guests in 6 comfortable Luca Dini designed cabins. 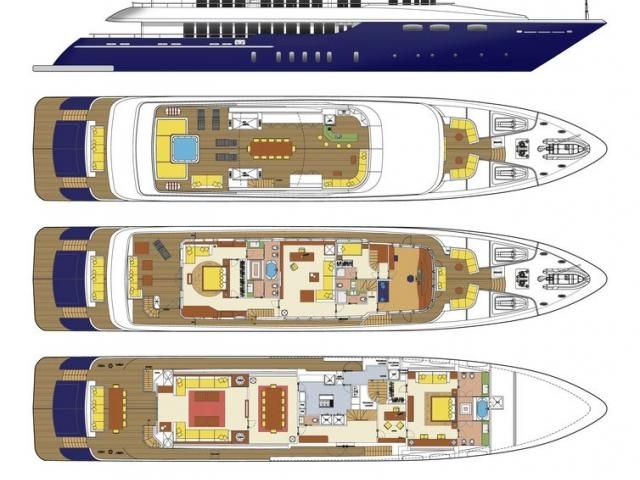 Her layout comprises two full beam master staterooms of an identical size. 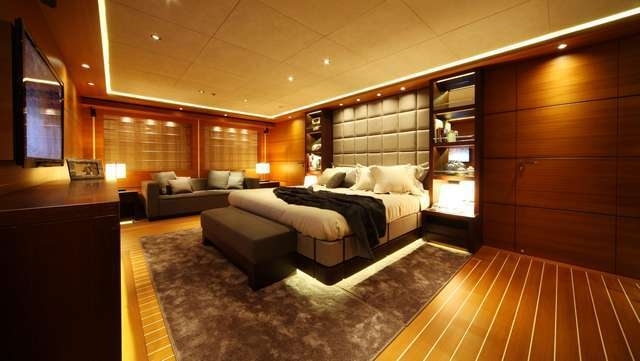 One of the master suites is located on the main deck forward, whereas the other can be found on the upper bridge deck. 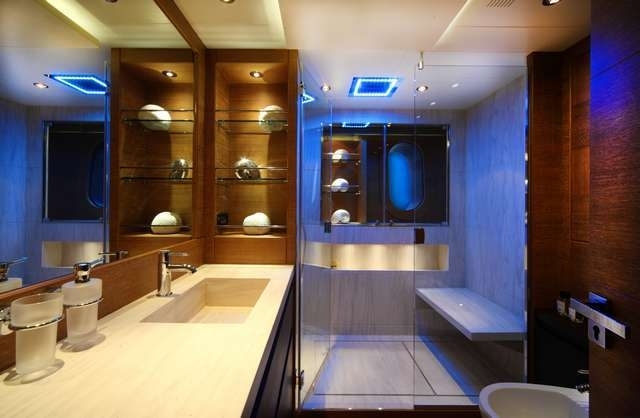 The latter features a direct access to the exterior deck. 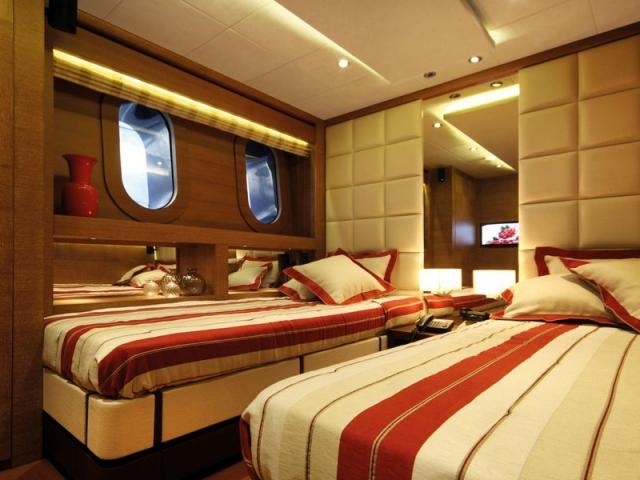 The remaining accommodation includes two double cabins and two twin cabins, all four located on the lower deck. 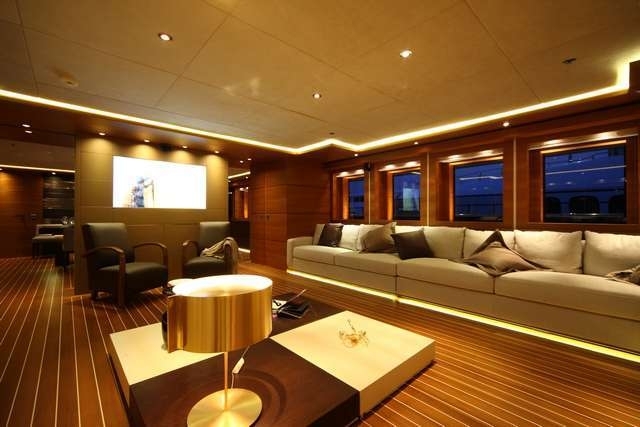 Luxury Charter Yacht ZALIV III has a contemporary minimalist interior with fine woods throughout, the use of incorporating elegant furniture and low lighting gives ZALIV III a fabulous sense of space. 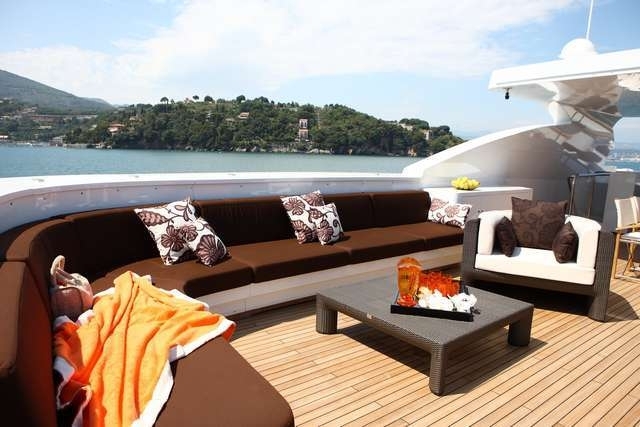 M/Y ZALIV III offers plenty of exterior space on 3 decks; The main deck features a large shaded aft deck with comfortable seating on 3 cushioned settees with coffee tables, the upper deck offers many options for sunning and relaxing on the many comfortable seating choices and sunpads, the deck also includes a large Spa Pool and an alfresco dining option. 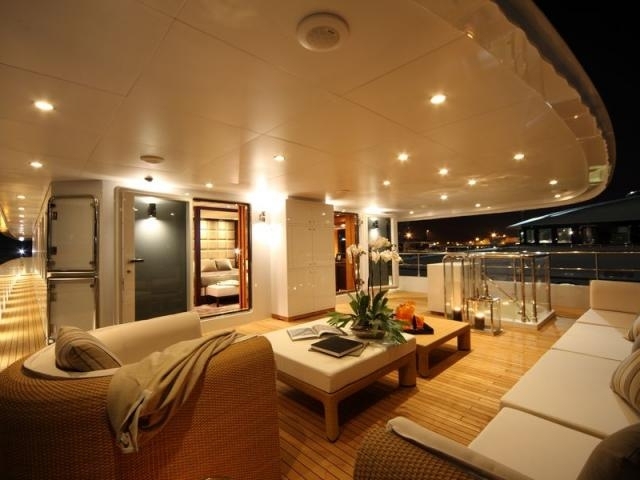 While the second deck is reserved for the exclusivity of the master cabin and features a private seating area. 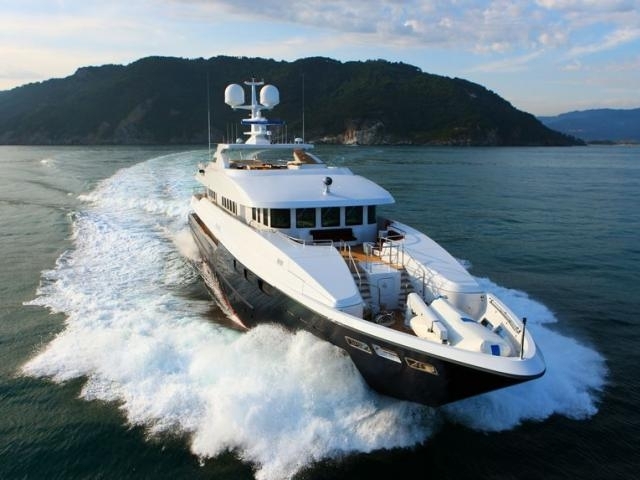 Powered by twin MTU 16V 4000 M90 diesel engines of 2,720 kW each, motoryacht Zaliv III reaches a maximum speed of approximately 22 knots and can comfortable cruise the seas at 20 knots. 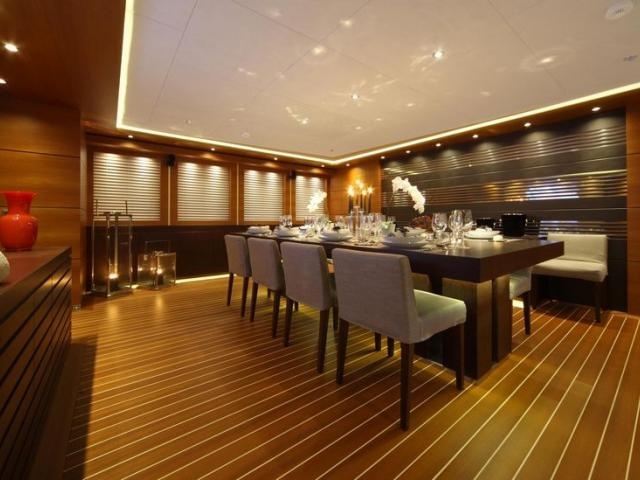 With her excellent layout, superyacht Zaliv III makes a wonderful luxury charter yacht. 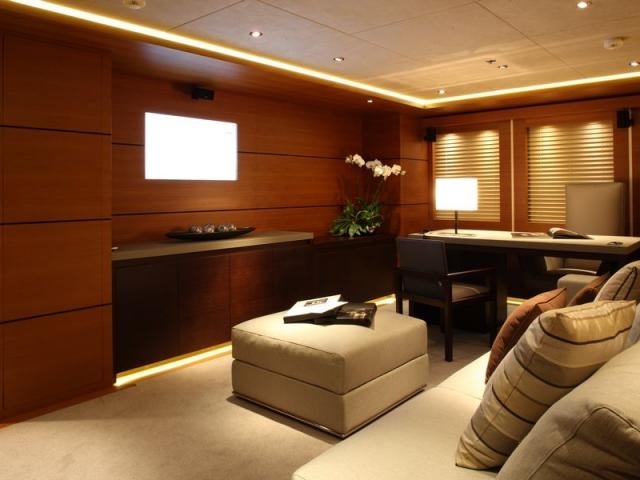 Motor yacht ZALIV III qualified among the finalists within the prestigious ShowBoats Design Awards 2012. 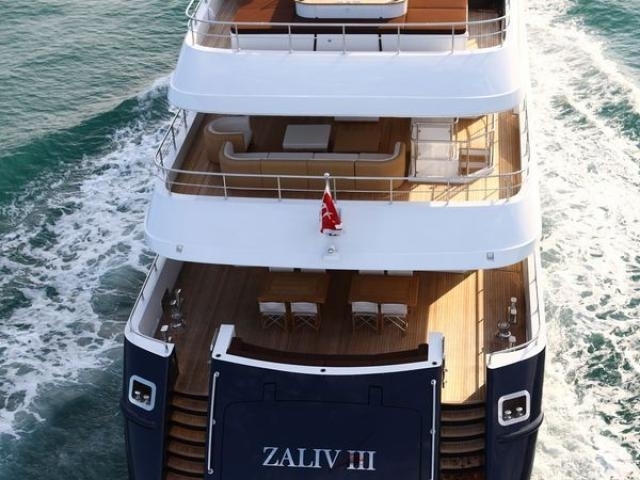 Yacht Zaliv III offers SPA treatments to all charter guests during the charter. 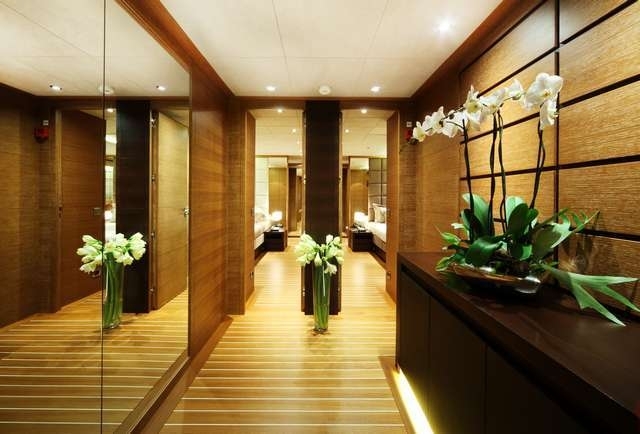 Every SPA treatment is a totally caring and luxurious experience. By taking a holistic approach, the treatments are offered as much for the inner-self and mind as for face and body. 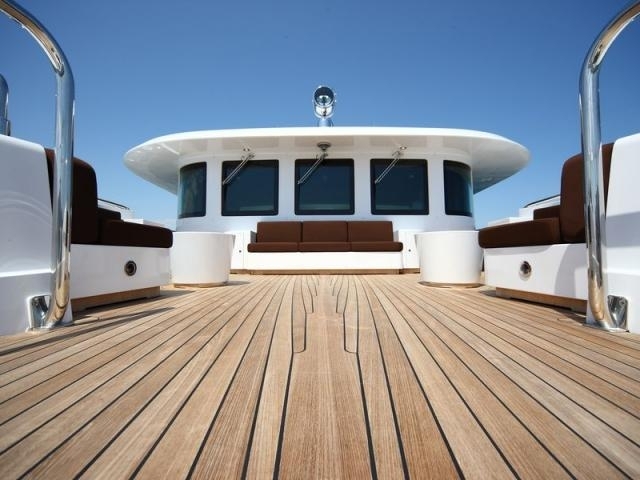 You will experience the benefits of sea, sun and massage with individually chosen essential oils in one of the finest anti-stress treatments available onboard the Zaliv III motor yacht.